Agarwal said Vedanta's Rs 35,000-36,000 crore offer in the first round of bidding for Essar Steel was the highest in the three-way race for Essar Steel that lenders are auctioning to recover about Rs 50,800 crore of overdue loans. 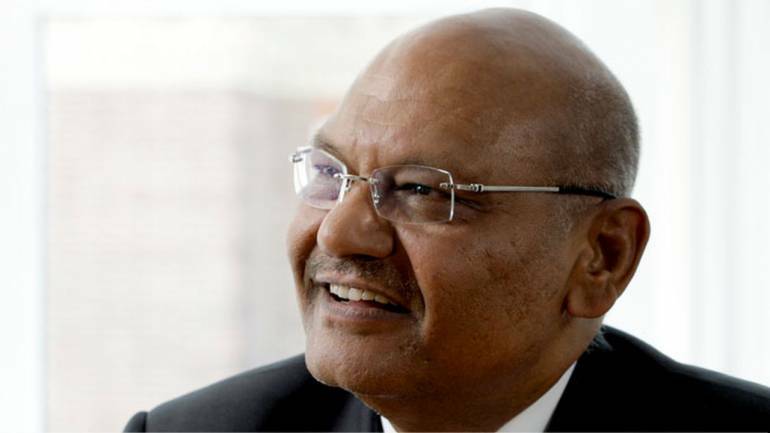 Mining baron Anil Agarwal has indicated that he is open to raising bid for acquiring Essar Steel, saying his flagship Vedanta Ltd is the best suited to take over the indebted firm as it is an iron ore as well as natural gas producer - key ingredients for making steel. The bid was more than offers made by ArcelorMittal and Russia's VTB Capital-backed NuMetal Ltd in the first round. But during the legal battle over the eligibility of ArcelorMittal and NuMetal, the VTB Capital-based special purpose vehicle raised the offer to Rs 37,000 crore in the second round which subsequently was bettered by ArcelorMittal to Rs 42,000 crore. NuMetal has said it will match the ArcelorMittal's offer. The issue has reached the Supreme Court which asked ArcelorMittal and NuMetal to pay off loans for group companies in India to be eligible to bid for Essar Steel. "See the Court has clearly said that the first round of bid will be the basis and it has allowed all three bidders to come into the ring. ArcelorMittal has to pay dues to come in the ring and NuMetal has to pay the outstanding loan to come into the ring," Agarwal said here. Vedanta, he said, remains eligible with its first round of bids. "We are already in the ring," he said. Once the condition set by the Supreme Court are met, the Committee of Essar Steel Creditors will take a view on the bids received. "As far as we are concerned, we are definitely interested but I never wanted to get into a fight. I have enough and I am happy. I have not gone to court. I have never made noise (on acquiring Essar Steel)," he said. He said Vedanta is the best-suited company to take over Essar Steel as it produces iron ore - the raw material for making steel. Also, it produces natural gas which is used in the steel making process. "I am an iron ore producer, I am a natural gas producer, both of which will be of advantage to Essar," he said. "I continue to be interested in Essar Steel (despite in bitter acquisition fight)." Asked if he would be open to raising the offer price, he said: "I am open to everything." But he wants to wait and see how the other two rivals act on the condition set by the Supreme Court for their eligibility. Agarwal said he has already set foot in steel manufacturing through a Rs 5,320 crore acquisition of Electrosteel, a firm that too was auctioned to recover unpaid loans. "For us, steel making is a natural progression from being an iron ore producer," he said. Essar Steel has emerged as the most sought-after asset in the government's crackdown on delinquent borrowers. Of a dozen loan defaulters that have been pushed into bankruptcy proceedings, Essar Steel is the most bitterly fought for. The world's largest steelmaker ArcelorMittal and VTB Capital-led consortium NuMetal have opposed each other's eligibility under a rule that disallowed bidders with links to a defaulter from being part of the process. Lakshmi Mittal's steelmaker questioned the eligibility of Numetal Ltd because, in the initial round of bidding, it included a company that is backed by the son of one of Essar's founders. NuMetal opposed ArcelorMittal as its promoters were tied to loan defaulting firms like KSS Petron Pvt Ltd and Uttam Galva Steels Ltd. While the firm linked to Essar founders wasn't part of NuMetal in the second round, but the Supreme Court held that it remained a related party to Essar Steel. This meant that while ArcelorMittal has to clear dues of its associate firms, Numetal will have to pay off the bad loans of the entire Essar group if it wants to remain a bidder. While VTB Capital is now seeking to make a solo bid and has filed a clarificatory application in the Supreme Court, ArcelorMittal has agreed to pay off Rs 7,469 crore of loans of the two group companies.